There are 7 shops in the ShopSafe USA Perfume Shopping Category. Receive free shipping on orders over $59! Perfume Emporium offers great discounts on all perfumes, fragrances, skin care, and colognes for men and women. They carry original designer fragrances - Absolutely no knockoffs or imposter fragrances at the best possible online price. Fast shipping and excellent returns policy. What's that smell? Love Scent Pheromones - invisible social magnets! Free shipping, free gift wrap, free gift card and a 30 day money back guarantee. 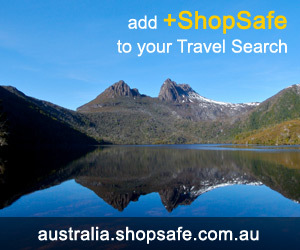 One of ShopSafe most popular sites. Beautive sell genuine brand name fragrances for Her and Him with up to 80% off the retail price. Shop over 10,000 discount perfume, fragrance, cologne, body care, shampoo & hair care products and much more. Receive free shipping worldwide to over 130 countries and free gift-wrapping with every purchase. All else failed? Let us help. If you want to see more Perfume here, please e-mail perfumes@shopsafe.cc. Please do not change the subject line of your email. If the subject line does not contain "Add to ShopSafe Online Shopping" it will not be read.